Within three months, something unexpectedly pleasant has happened to Igor Jurković, Mladen Brestovac, Igor Emkić, Tomislav Spahović and co. Interviews and TV shows mostly reserved for footballers are little by little being taken over by the guys in gloves. The last three months have brought some changes into the lives of all Fight Channel employees, and the most important one is putting aside personal needs to do what we love (true enough, besides being in love with martial sports, we are after all paid to do what we love). From last year's Cro Cop Final Fight, when a lot of things were resolved by the method of trial and error, until last Friday in Poreč, when everything went smooth, things have been brought to perfection, and because of what we love, we've forgotten what we've put aside. In those three months something's been set in motion. The success of the K-1 World Grand Prix in the Arena Zagreb was even expected to a degree as the general public has a very positive attitude toward Cro Cop, and his status as a fighter is unquestionable. The rude awakening came very early in Split. It's hard to describe the feeling when after all the effort and time you've invested you see eerily empty stands and hear only about fifty tickets were sold for a card that includes Jurković, Catinas, Zhuravlev, Milanović and Delija. But only a few weeks later, a positive shift happened in Zadar, followed by the confirmation we are on the right path in Osijek. It also needs to be said that Nova TV is one of the reasons for the FFC's evident success over a mere couple of months. While Fight Channel is broadcast in the entire region and has its target audience, national TV has the benefit of being able to attract those viewers who otherwise wouldn't be changing channels in search of martial arts, but they happened to switch to that channel when Spahović knocked out Golčić and got hooked on it. The ratings data are pretty incredible as these are the numbers typically reserved for the national football team. By virtue of that, people see something on television, get into it and want to become part of it in person. K-1 WGP included, from March until mid-June more than 25 thousand people at five events in Croatia attended MMA and kickboxing matches. Several fighters have already made names for themselves in the Final Fight Championship. Igor Emkić came to Osijek as an unknown fighter to everyone who isn't deeply invested in kickboxing. Afterwards, he was the talk of the town for the next three weeks. Ibrahim El Bouni had only his third professional fight in Poreč, while everyone remembered Tomislav Spahović after his fight with Christian Golčić. Laszlo Senyei was unheard of even by those who follow MMA closely, and he took down Ivan Gluhak and Ivica Trušček. Jason Wilnis confirmed his brutal knockout abilities in Croatia, sending Milanović and Majkić to the ground and showing his star potential. 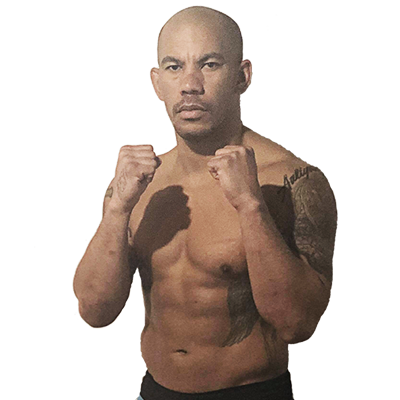 The old school, with Igor Mihaljević and Emil Zoraj on the frontline, has been proving it won't go down easily, while some renowned fighters like Hesdy Gerges would create their path of return to the global top through the FFC. All these fighters have a growing fan base in Croatia, and over time, with the help of the media, they could become established as mainstream sport stars, just like Romanian fighters have become in their homeland thanks to Superkombat. Overall, counting in last year's Cro Cop Final Fight, the FFC held over 50 fights. The poor ones can be counted on the fingers of one hand. There were a few problems with matchmaking, but those were mostly caused by the lack of time to find adequate opponents. 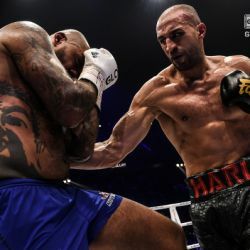 Most fighters will not agree to fight someone like Pavel Zhuravlev within a very short period, but the fight will typically be saved by a fighter who's in serious need of some cash. On a worldwide scale, the live attendance of the FFC compared to the world's leading kickboxing organization, the much wealthier Glory, is on the side of the Croatian promotion. Glory's last 65 kg Slam in Tokyo was seen by only 3,500 people, and the attendance of K-1 WGP in the Arena Zagreb was far above Glory's Grand Slam on New Year's Eve. Even though we're comparing a global promotion with one that is still regional, availability via television and YouTube is in FFC's favor. What's especially pleasing is the passion of the crowds during fights. 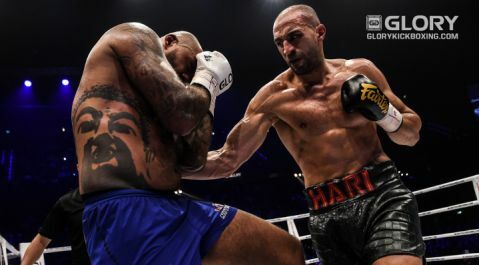 A reaction from Antonio Mijatović in Zadar sent an electrifying impulse through the stands and kept the atmosphere going until Bakočević and Trušček walked into the ring. Ante Delija made the fans in Osijek almost tear the roof of the hall with their voices. What the future has in store for us is the debut of a man with three wins in the UFC (including one by TKO over a returnee to the world's strongest MMA promotion, Soa Palelei) Eddie Sanchez, the clash between Miran Fabjan and Emil Zoraj, a still-in-works rematch between Mladen Brestovac and Benjamin Adegbuyi, and what's set in stone is that after his next fight Igor Jurković will compete for the FFC title in the heavyweight division.